- 'Making Your Own Path' is a lecture featuring GlobeX Studios' Carey Chico, as he "shares his personal success story of 15 years in the game industry. Carey will describe his journey from breaking into the business at Activision, to becoming an executive at Pandemic Studios, to now launching his own independent company. Get a first-hand look at forging your own path in the game industry and come away inspired and full of ideas about where to take your career goals." 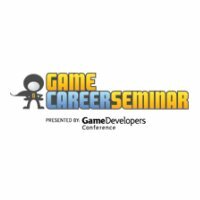 The Game Career Seminar lectures run alongside a Main Conference for GDC Online from October 6th-8th that includes a keynote from Zynga chief game designer Brian Reynolds (FrontierVille), and track keynotes from Blizzard's Greg Canessa (on Battle.net), Playdom's Raph Koster (on social mechanics), and Bigpoint's Heiko Hubertz (on the rise of Europe in online gaming), and over 70 other talks in the space. In addition, multiple Summits have debuted major line-ups, with the 3D Stereoscopic Gaming Summit featuring speakers from Sony, Crytek, Walt Disney Imagineering and more, plus the iPhone and iPad Summits featuring Words With Friends/We Rule's David Bettner, Pocket Legends' Cinco Barnes and many others, plus a Game Narrative Summit including a keynote from Bungie's Joseph Staten on '10 Years Of Halo Storytelling... And Beyond', plus major Harmonix and 2K Games lectures.